Samsung set the world of 360° cameras on fire at the Mobile World Congress last month when it revealed its very own camera, the Gear 360. The company is betting that Virtual Reality is going to be the next big thing and is really pushing its budget friendly Gear VR headset, now it needs people to start creating 360° videos to ensure a constant stream of fresh content for its VR users – this is where the Gear 360 comes in. The camera looks set to beat out the current competition in terms of camera quality and usability. Samsung released some of the technical specifications of the camera almost instantly, but now they’ve gone one better and released a whole infographic telling us all about its new brand of camera. It doesn’t actually reveal any new information about the camera, but what it does show is that Samsung see’s this type of technology being used by all types of people in every day life. Personally I can’t wait for this camera to come out as I think it will be the first to give a truly high quality 360° shooting experience. 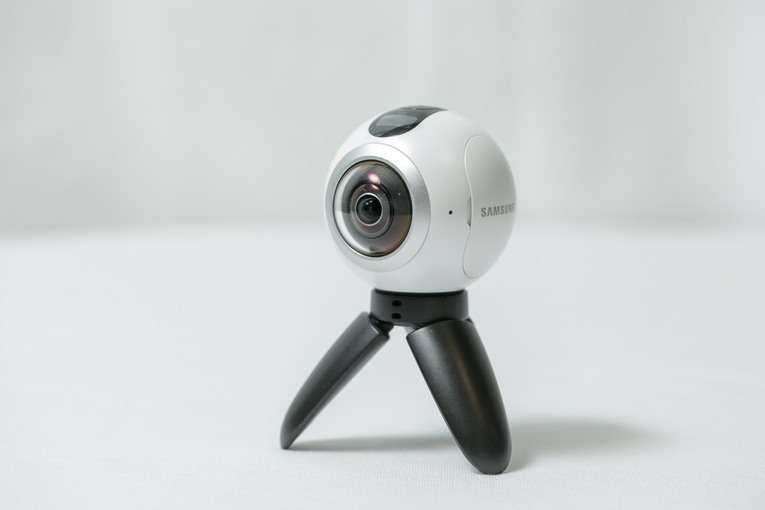 Samsung's 360 degree camera could be the best ever! Insta360 One “FlowState” & Firmware Upgrade. Here’s What it Looks Like!